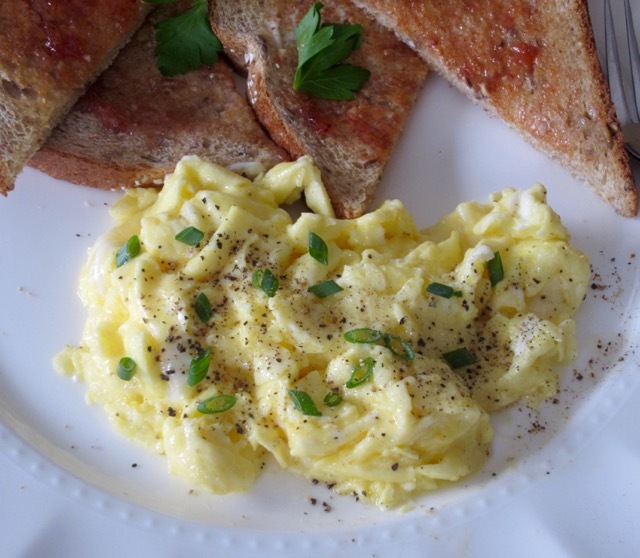 Scrambled Eggs is one of my favourite breakfast go to. They are soft and fluffy and go well with toast or bagels. I always add half and half (10% cream). You can also add milk or water if you are watching weight. Have a lovely week. Crack two eggs in a bowl. Add the liquid and season with salt and pepper to taste. Beat the eggs with a fork until just mixed. Melt butter in an 7-8-inch (20cm) skillet over medium-low heat. Tilt the skillet to coat the bottom and sides. Pour the egg onto the skillet. When the egg begins to set, stir slightly to allow the thin uncooked egg to flow to the bottom. Cook the egg gently until set but still very moist. Remove from the heat because the pan is hot and they’ll continue cooking. 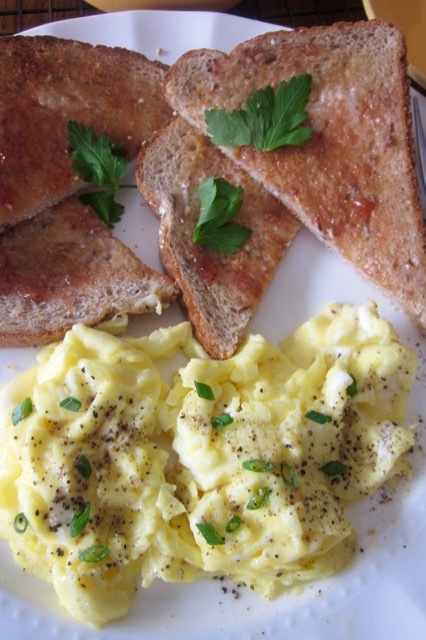 Serve the eggs on hot buttered toast, bagel or on a plate. Eat immediately. 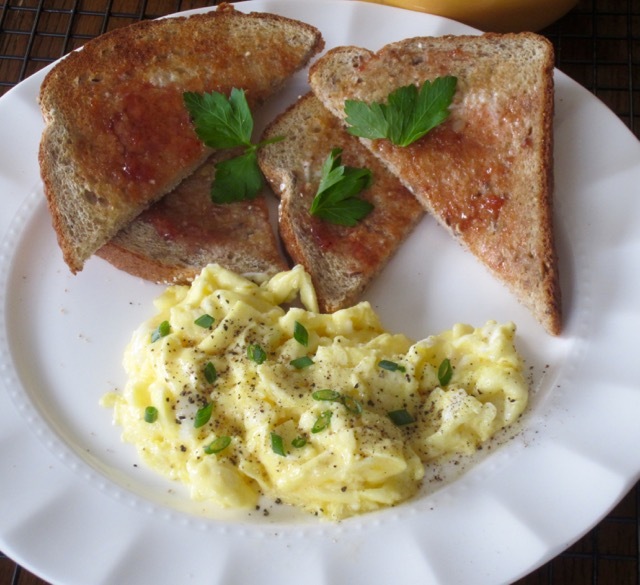 Cook scrambled eggs over low heat and make sure the eggs remain creamy and moist. 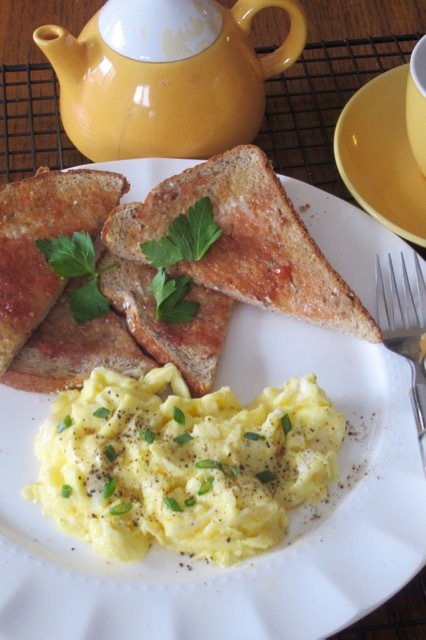 Do not over stir, otherwise the eggs will break and become dry and crumbly. 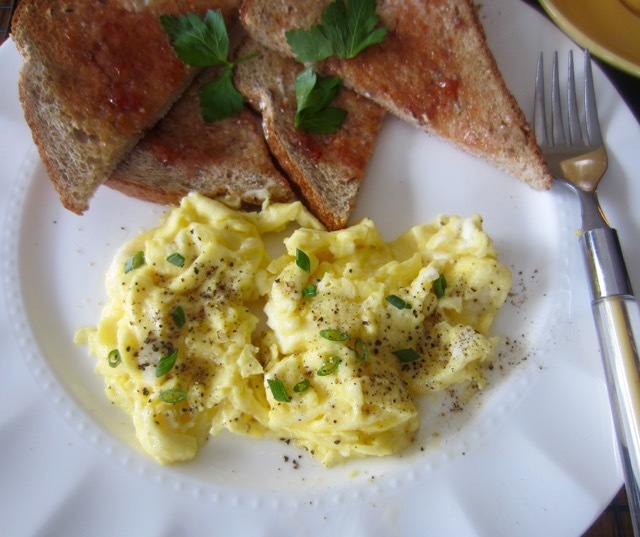 Use 2 tablespoons liquid for every two eggs. This slows down cooking and makes the eggs fluffy. Use the right size pan. if the pan is too big the eggs will turn out dry. If the pan is too small the mixture at the bottom will overcook. Great comfort food too! This is just how I make them, that is totally (triple) awesome! 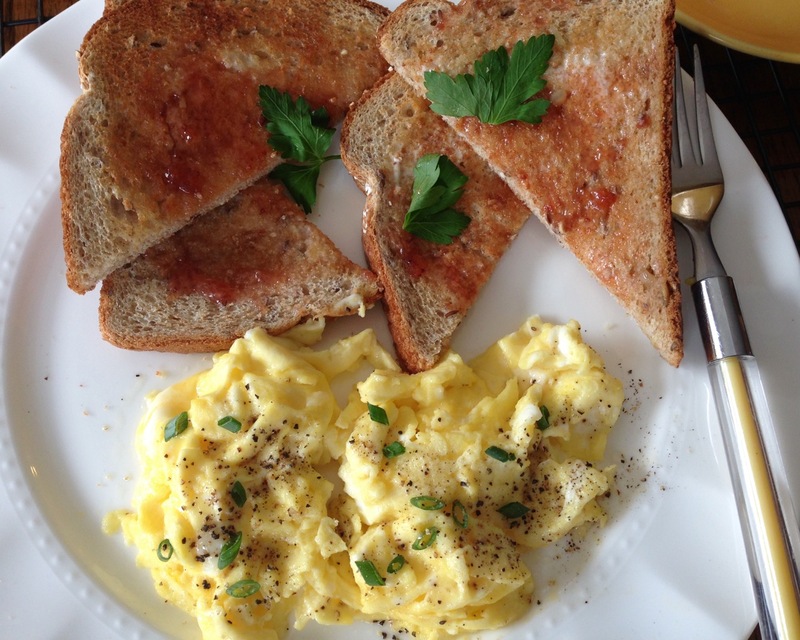 I love eggs for breakfast at least 4 times a week!